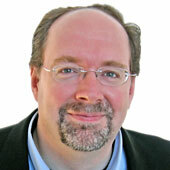 The pre-IPO buzz around the cloud-based human resources software company Workday has officially begun. Bloomberg News reported yesterday that Workday has started looking for banks to guide it through the process toward an offering that would raise as much as a half-billion dollars. Among those under consideration are Allen & Co., Morgan Stanley, Goldman Sachs and J.P. Morgan Chase. Allen is said to have advised Workday on its recent funding round, which closed in October. As exclusively reported by AllThingsD at the time, Workday raised $85 million at an implied valuation of $2 billion. The Series F was led by T. Rowe Price, Morgan Stanley Investment Management, Janus and Bezos Expeditions, the personal investment entity of Amazon CEO and founder Jeff Bezos. Bloomberg also says that Michael Dell’s personal investment vehicle, MSD ventures, was in on that funding round, which grew to $100 million since the closing. Previous investors include Dave Duffield and Greylock Partners, who are in for $90 million across four rounds; and New Enterprise Associates, which joined a $75 million Series E round in 2009. 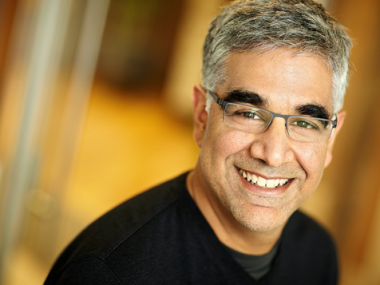 Apparently encouraged by the successful IPO of Jive Software earlier this month, and the performance of its shares, which are up nicely since the debut, Workday now appears poised go through with the IPO that CEO Aneel Bhusri (pictured) hinted in October would take place during the second half of 2012. And there’s no question that Workday is in a hot space. SAP’s $3.4 billion acquisition of SuccessFactors last month, plus Salesforce.com’s deal for Rypple last week, attest to the urgency with which larger companies want to be in the HR software business. Think about it: Every company — of any size — needs to keep track of its people, their salaries, performance-review information and so on. And why bother with software that runs on the local machines, when the cloud is so much more efficient? Bhusri was a senior executive and co-chairman of PeopleSoft’s board, and was on hand for that company’s hostile takeover by Oracle. After losing that battle, he and co-founder Dave Duffield concluded that the next battlefield for enterprise software would be in the cloud. Workday’s average customer has between 10,000 and 15,000 employees. Among its 250-odd customers, the biggest is Flextronics, the huge electronics manufacturing company, which has 200,000 employees. Others include Time Warner, Thomson Reuters, Chiquita Brands and, perhaps unsurprisingly, Salesforce.com. Workday has some two million employees in its system. And while there’s no S-1 filing with the US Securities and Exchange Commission to peruse yet, the IPO watch on Workday officially begins now.